Best damn tattooed bride photographer, is that what you are looking for? Well you've landed at the right place. 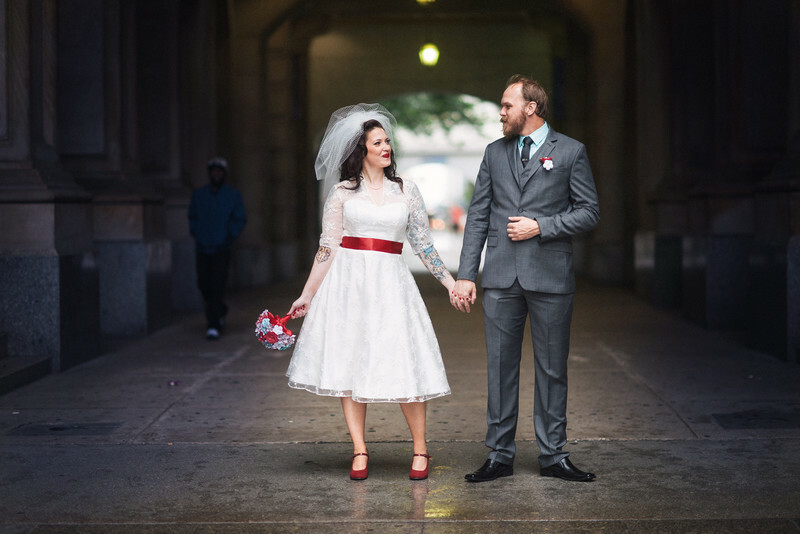 We photograph tattooed weddings all over the United States. Reach out to us today to photograph your wedding. This wedding took place in Philadelphia. This photo was taken at City Hall. One of the best spots in Philadelphia for Wedding Photography. Take a look at our whole gallery of best, most beautiful tattooed brides. Location: 1401 John F Kennedy Blvd, Philadelphia, PA 19107.